Chris Athanasiadis suggests how depressed men can transcend their stoic approach. In John Steinbeck’s acclaimed novel The Grapes of Wrath, one male character, Jim Casy, exclaims to another, Uncle John: ‘A man got to do what he got to do’. Casy uses this statement to condone Uncle John’s forbearance regarding his wife’s death during the trying times of the Great Depression in 1930s America. Casy’s legendary proclamation eloquently illustrates depressed men’s often impassive approach to their depression. For example, instead of reporting typical symptoms of low mood, hopelessness, reduced levels of activity, anhedonia, and so on, men may endure their depression silently – but not without action. Depression in men often manifests itself in ways not recognised by present measures – such as through anger and aggression or by working too much, by using alcohol or psychoactive substances or through other risky behaviours. Why do men adopt this approach? A plausible reason is that social expectations may be preventing men from talking to friends and loved ones about their emotional difficulties, at least, to the same extent or with the same ease that women seem to be able to (Spendelow, 2015). Instead, men may attempt to self-manage their depression (Sierra Hernandez et al., 2014) or express their depression in ways that do not fit with standard diagnostic criteria (e.g. Hoy, 2012). For example, a depressed man may be irritable and/or confrontational, or he may seem over-confident or too hard-working; such practices work to mask the underlying depression. Some men may construe help-seeking as an undesirable sign of an impending loss of control over their lives (Rice et al., 2015). This may discourage them from accessing available mental health resources. How, then, can depressed men be supported in the management of their depression? A suitable starting point to finding appropriate ways to help depressed men is by first trying to understand depressed men’s attitudes to depression. This can be achieved by considering the ways in which men try to fulfil masculine ideals (Robertson et al., 2014). Expectations that men will demonstrate resilience and strength in coping with ill health encourage the perception of the commonly accepted symptoms of depression in men as signs of failure (Courtenay, 2000). Men are expected to ‘stick it out’, ‘pull up their socks’ and ‘get on with things’ (Sierra Hernandez et al., 2014, p.348). Whist women are seen as able to externalise their distress by crying and talking about it at an early stage, men often refrain from overtly talking about their depression in order to avoid being perceived as weak (Brownhill et al., 2005). This way, men’s depression may go unnoticed. The recognised inhibitions of depressed men in verbally externalising their depression are thought to affect depressed men’s readiness to seek help as a function of masculinity norms. What, if anything, can encourage depressed men to take appropriate steps to address their mental health needs? Interestingly, in a qualitative study involving interviews with partners of depressed men Bottorff et al. (2014) found that men were more likely to seek professional help for their depression if their female partners had made it possible for them to ‘transgress the masculine ideal of resisting professional help’ (p.76). In general, depressed men are more likely to seek help where they are encouraged by someone with whom they have a trusting relationship such as a partner or a doctor (Hoy, 2012). In this context, it may be worth keeping in mind that men, especially older men, may find it easier to seek help for their depression if they can be encouraged to view their help-seeking as an indication of strength or bravery (Oliffe et al., 2012) or as an act of maintaining personal control (Rice et al., 2015). In fact, research has confirmed that men like to think of their use of mental health resources as an attempt to regain control rather than as seeking help – which often emphasises the loss of control (Robertson et al., 2015). Additionally, although expressing feelings and emotions is invariably seen as unmasculine by men, depressed men are more likely to talk about their feelings and emotions where they perceive this as an endorsed and valued activity (Davey et al., 2006). Lastly, depressed men who feel that they can help others with their depression are more likely to seek help for their own depression (Sierra Hernandez et al., 2014). A frequently observed reaction to depression by men is to fulfil culturally prescribed male ideals. 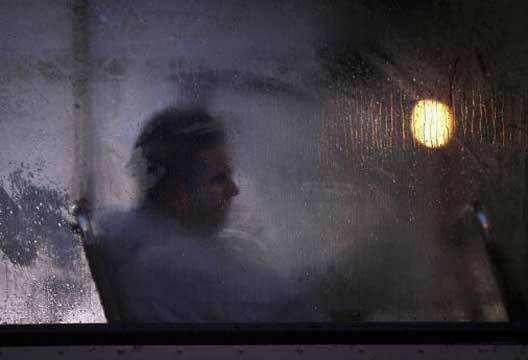 Considering that fulfilling the role of the breadwinner and being the main provider for the family continue to reflect two of society’s main expectations of men, it is not surprising that some depressed men may find themselves coping with their depression by ‘throwing themselves into work’ and working long hours. This may attract praise from employers, which may unwittingly reinforce overworking as an appropriate coping mechanism (Brownhill et al., 2005). However, at times, the workplace could be adding to the emotional load of men due to the competitive and aggressive nature of some occupational areas (Oliffe & Han, 2014). On the one hand, this may work to the detriment of men; on the other hand, these experiences may help bring personal issues to surface, enabling the normalisation of distress, which may transform help-seeking into a valid and necessary behaviour for depressed men (Oliffe et al., 2012). Some evidence demonstrates that men seem to be more willing to access healthcare services when they perceive their health-related difficulties to require a serious approach in order for them to stay healthy (whilst they see women as trivial users of healthcare services: Noone & Stephens, 2008). In this context, men may find it helpful to have their depression framed as a medical condition, since this perspective helps legitimise men’s help-seeking (Spendelow, 2015). However, we should not lose sight of men’s documented unwillingness to access healthcare services, possibly, as an effect of the purported feminisation of these services (Morison et al., 2014). Mental health services need to ensure that male service users are able to have their emotional and psychological needs met in an environment that supports and safeguards masculine identities. Ways in which this objective can be achieved include having a good male to female staff ratio, and suitably trained clinical and administrative staff. Whist most research has concentrated on men’s risky self-management strategies, a recent study by Fogarty et al. (2015) has produced evidence on the positive ways in which men manage their depression and attempt to stay healthy. The researchers interviewed 168 Australian men aged 19–92 who either had or had never experienced depression. The study found that men with or without depression described repertoires for monitoring their health, for preventing ill health (e.g. by exercising) and for coping with ill health. They used a number of positive strategies that helped them to be ‘in control’ (e.g. goal setting, helping others), and did report talking openly about their depression. Health professionals need to capitalise on men’s positive approaches to their health, and work constructively with men’s health repertoires in order to better meet the needs of depressed men. Perhaps a way to support positive ways of managing depression is by encouraging men to increase their mental health literacy. Mental health literacy is ‘knowledge and beliefs about mental disorders which aid their recognition, management or prevention’ (Jorm et al., cited in Gulliver et al., 2012). It has been found that men have lower levels of mental health literacy, in comparison to women, owing to men’s difficulties in identifying the symptoms of depression (Rice et al., 2015). We know from research with depressed women that an increase in depression literacy (by exposure to information about depression) can lead to a decrease in self-stigma (Latalova et al., 2014). There is also evidence that increasing mental health literacy can work for depressed men. For example, Hammer and Vogel (2010) have used a pro-counselling brochure for depression, which has managed to improve social attitudes to male depression and to reduce self-stigma in depressed men. The authors had used language that supported a ‘masculine approach’ to depression, opting for words such as ‘mental health consultant’ and ‘strategy for attacking’ (p.301) rather than ‘therapist’, ‘therapy/psychotherapy’, etc. It would appear that men can benefit significantly from messages about male depression being neither uncommon nor a permanent state (Fogarty et al., 2015). Such messages could help normalise experiences of depression in men by helping proliferate the idea that depressive symptoms affect everyone, even male figures in the public eye. Positive role models can be effective in affirming the normality of a man’s proactive approach to depression in order for him to stay healthy for himself, his partner and wider family (Scholz et al., 2014). Well-known and respected male figures have spoken out about mental health issues in recent years, including former rugby players Gareth Thomas and Jason Robinson, boxer Frank Bruno, footballer Rio Ferdinand, actor Stephen Fry, comedian David Baddiel, and politicians such as Charles Walker and Kevan Jones. Prince Harry’s recent heartfelt reference to his emotional difficulties after the death of his mother, Princess Diana, and his call to men to vocalise their psychological difficulties, are a great service to the cause of promoting mental health and of removing the stigma associated with it. Indeed, the public statements of Prince Harry and of the Duke and Duchess of Cambridge about the importance of mental health and their support of ‘Heads Together’ are in line with advice from the literature to normalise the experiences of mental health difficulties for all. Considering that the media has a defining role in constructing and in perpetuating male ideals (Gough et al., 2014) it would be appropriate for male depression to be represented in the media as a psychological state that affects both men and women, that can manifest itself in a variety of ways and that passes with time and with appropriate professional help (Scholz et al., 2014). A shining example of such an attempt to de-stigmatise mental health difficulties through the media is BBC’s popular soap EastEnders, where 23-year-old male character Lee Carter is shown to be coping positively with depression. Research needs to employ innovative approaches that will help advance our understanding of men’s experiences of depression. For example, the study of naturally occurring, unsolicited interactions of depressed men which is currently undertaken by researchers at Leeds Beckett University, and to which I am contributing under the auspices of Professor Brendan Gough and Professor Steve Robertson, is an example of forward thinking in research in this area (Gough, 2016). With such research feeding into clinical practice, we can continue to refine the ways in which we account for and deal with the variability of depressive symptoms in men (and in women). Furthermore, practitioners need to recognise the importance of working with masculine discourses, and researchers need to keep considering the role of masculine norms in depression when working with male clients. Lastly, campaigns aiming to reach out to depressed men may achieve their aims more successfully by carefully considering the specific cultural requirements of their target groups. Gough, B., Hall, M. & Seymour-Smith, S. (2014). Straight guys do wear make-up: Contemporary masculinities and investment in appearance. In S. Roberts (Ed.) Debating modern masculinities: Change, continuity, crisis? (pp.106­–124). Basingstoke: Palgrave Macmillan. Morison, L., Trigeorgis, C. & John, M. (2014). Are mental health services inherently feminised? The Psychologist, 27(6), 414–416.